Are you looking for a must-see place of travel in Con Dao, Vietnam? Every year, there is a variety of foreign and local travelers coming to visit Hang Duong Cemetery (Nghĩa Trang Hàng Đường), located near the prison on Côn Sơn Island, the largest island of the sixteen islands of the Con Dao archipelago. Hang Duong Cemetery is an impressive attraction in Con Dao thanks to its great historical significance together with touching stories. Visiting the cemetery, visitors will undoubtedly feel the unyielding spirit and willpower of Vietnamese people. You can visit Hang Duong Cemetery by motorcycles or car at any time all year around. Located less than 2 km north of Con Son town, the Cemetery is easily accessed on foot or by bicycle. 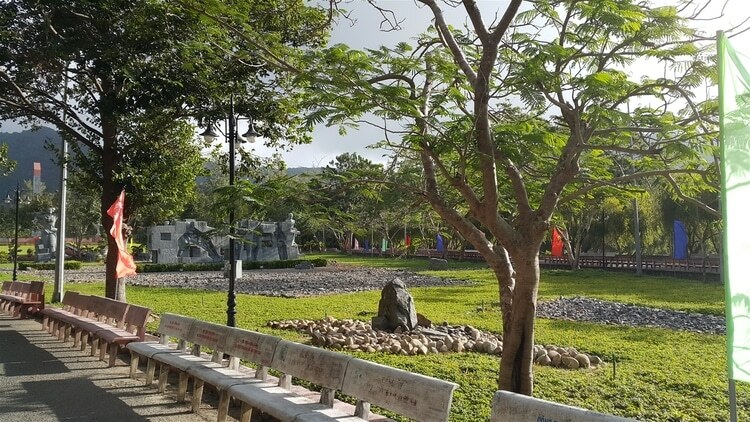 Situated at Con Dao District, Ba Ria Vung Tau Province, Hang Duong Cemetery is considered as one of the most famous and biggest cemeteries in Vietnam. It’s the burial place of thousands of Vietnamese patriots and revolutionaries through lots of imprisonment generations. There are the tombs of the well-known patriots such as the grave of Vo Thi Sau, Mr. Le Hong Phong, and patriot Nguyen An Ninh. There are 1,913 graves split into four zones, namely A, B, C, D zone In Hang Duong cemetery. Area A: It contains around 668 tombs (including seven mass graves): 597 tombs of the Unknown Soldier and 91 tombs of the Known Soldier, and most of the tombs before 1945. This area has patriot Nguyễn An Ninh and heroic martyr Lê Hồng Phong. Area B: It includes about 695 tombs (consisting of 14 mass graves): 419 tombs of the Unknown Soldier and 276 tombs of the Known Soldier, and most of the tombs from 1945 to 1960. It has heroic martyr Cao Văn Ngọc and Võ Thị Sáu. Area C: It consists of about 373 tombs (including one mass grave): 41 tombs of the Unknown Soldier and 332 tombs of the Known Soldier, and most of the tombs from 1960 to 1975. It contains heroic martyr Lê Văn Việt. Area D: It contains about 157 tombs (including one mass grave): 143 tombs of the Unknown Soldier and 14 tombs of the Known Soldier, and all tombs from Hàng Keo Cemetery and Cau Island. 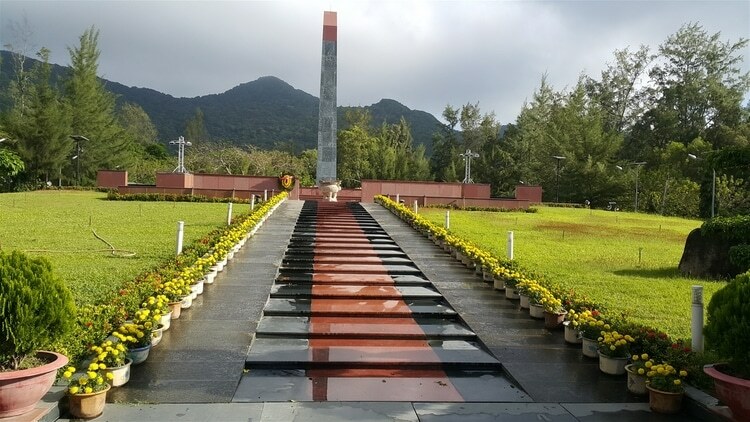 Hang Duong martyrs cemetery together with historical monuments in Con Dao is one of the most significant Con Dao attractions which is ranked as Special National Monument. This place is the sacred land which marks the unyielding struggle of revolutionary soldiers, Vietnam people, and heroes in two resistance wars against US imperialists and French colonialists. It is also “red address” that educates younger generations on the patriotism, revolutionary traditions, and national construction and defense. Discovering the cemetery is an impressive thing to do in Con Dao, Vietnam. Tourists will certainly get unforgettable experiences. Hang Duong Cemetery attracts tourists to visit the daytime and night. Besides, there is a great number of both international and domestic visitors setting foot on the cemetery to burn candles on graves. The lights shine everywhere at night in the cemetery. The melodious sound of music from waves, wind, and small speakers scattered through the trees looks like a symphony to protect the sleep of heroes, Vietnam patriots, martyrs here. There were also many tourists gone into the army which for protecting the country and foreign, domestic tourists have come here to remember those comrades, those heroes who sacrificed their lives to defend freedom of the country. To be close to Hang Duong Cemetery, book a room at various accommodations within two miles. 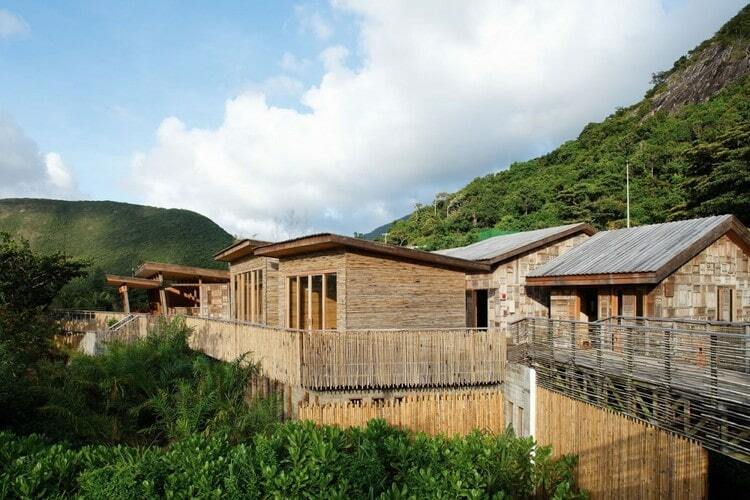 The Six Senses Con Dao is one of the more popular hotels, just 2.1 km away. Other choices are the Lighthouse Boutique Hotel, only 1.3 km away and the ATC Resort, Con Dao, 1.3 km away, Hotel De Condor, 3.3 km away or IQ hotel, 2.1 km away. Hang Duong Cemetery is worth the first tourist place in the journey of discovering Con Dao tourism. Hang Duong Cemetery is the place where you can get knowledge about the traditions and history of Vietnam. We hope that you will have an interesting experience in Hang Duong Cemetery.